BCWCLC offers BBA LLB for five years and LLB for three years. But all the teachers are very strict. Procedural laws are taught by practising advocates only. They are strict about their assignments, seminars etc. The whole college is very strict about discipline. You can’t feel to be like in a college. It still feels to be in a school. This college believes in extra curriculum activities. Every year we have sports day which includes house wise marching. National moot court competition is being organized by the college every year. Inter collegiate seminars. Legal literacy week. We have inter house GK quiz competition. College is located in mission road corporation circle, prominent area of the city. 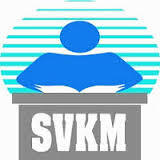 Near by there are many colleges like Jain College, St. Joseph Bangalore which make the area student friendly. City civil court and high court is near to the college which acts as a benefit for law students. There are many law offices and firms near our college due to which many students intern after college also. Placement cell is not that active in this college. Most of the people get the jobs through their own talent and caliber. Some of them apply for further studies. Fees of the college would be around Rs. 35,000 – Rs. 45,000 per year. College timings are 8 am till 3 pm. We have everyday morning assembly. College is strict about attendance and timings. You are free to leave only after 12.30 pm. The best thing about this law college is that students joining this college is not only from one place, there are people coming from all around India and sometimes abroad also, one get to see many cultures together. Super discipline is something very bad about this college. College is strict about uniform, timings and attendance about everything which makes it tough to survive for students. Yes it’s the only women’s law college in India. One get to see only girls around. College authorities tend to make us very strong at the end of five years. After five years girls passed out from this college can survive anything. We share our college with our sister concern Bishop Cotton Degree College. The campus is decent. The whole college is well built and a part of it is given to the law department. We have two libraries one for degree college and one for law college students. There are two canteens in the campus. overall the campus looks good.